Say no to negative thoughts. Look at each of the statements that are quite negative. Re-write the negative statements into a positive statement. 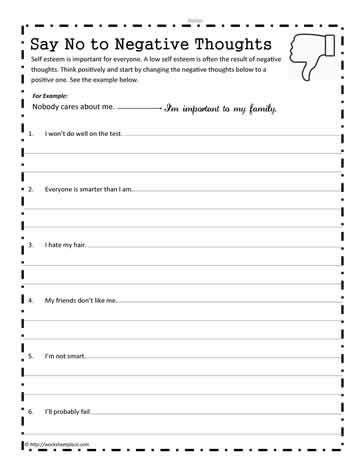 Positive thoughts worksheets help students to think before they act.